I can be reached at WR starting Monday afternoon, and I will be at the swap meet. 1. 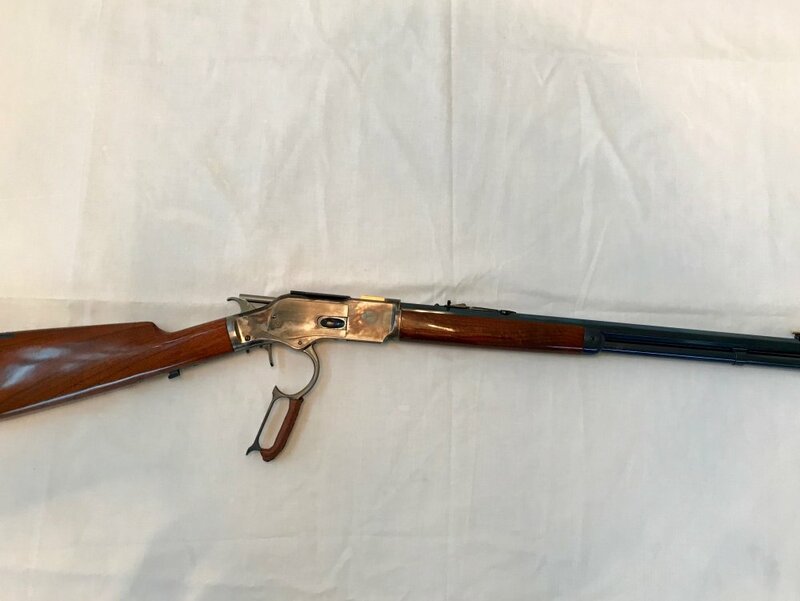 Cimarron 73 short rifle, straight stock, charcoal blue in .45 colt . Pioneer super short stroke kit, aluminum carrier, marbles flat rear sight, sure Hit" front sight, lever wrap, and more. 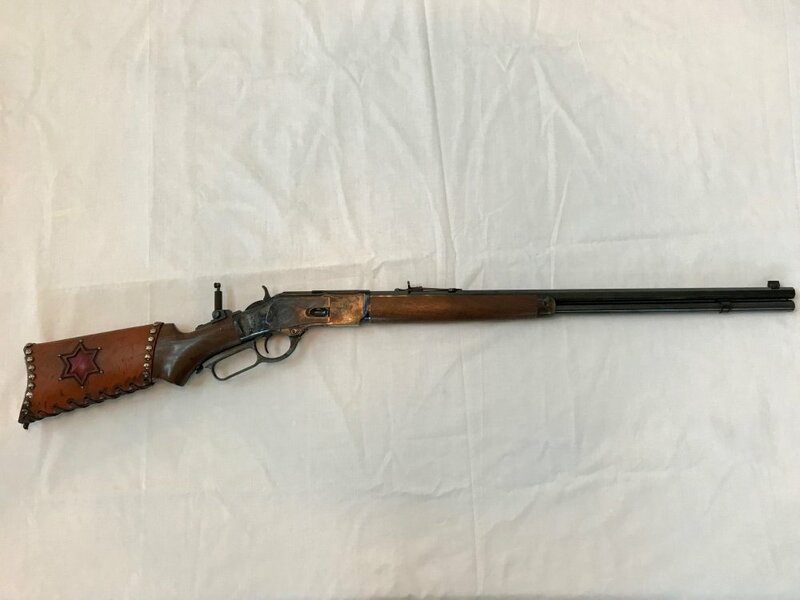 This was my wild bunch rifle which I shot only a few matches. 2. 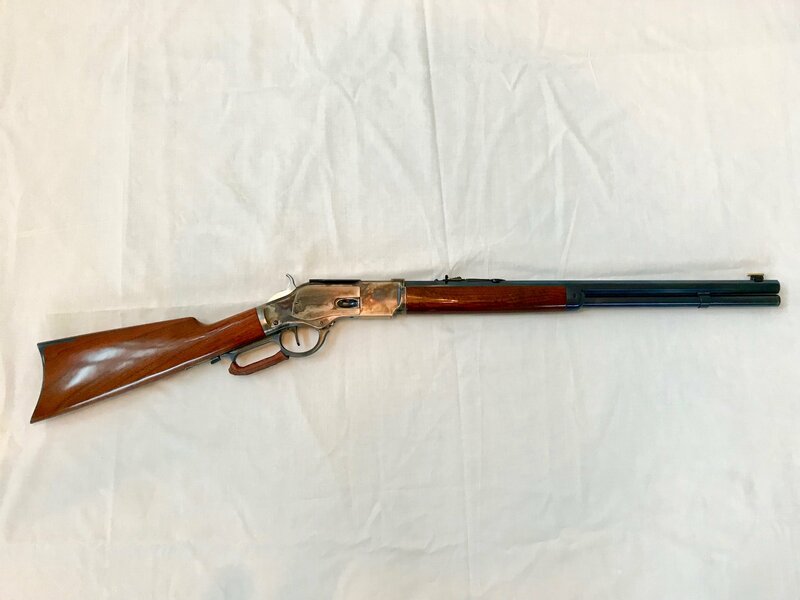 Winchester miroku 1873 Deluxe Sporting rifle chambered in .44-40 WCF, 24" full octagon barrel, case color hardened receiver, Marble's Tang Peep Sight, custom stock cover by http://ddbleather.com No action work. Like new. Dress pants, frontier classic size 42 $20, worn once. I also have a lot of once fired AA hulls at .04 a piece. If anyone wants some let me know how many and I'll pack them in the truck.